We are proud to have been able to chat and answer the questions and concerns of the “rompedora” girls, who will break new ground in the future. Our Integral Management System Director, Blanca Brieva, had the pleasure of being one of the 30 professionals at the #Rompedoras 2019 event. 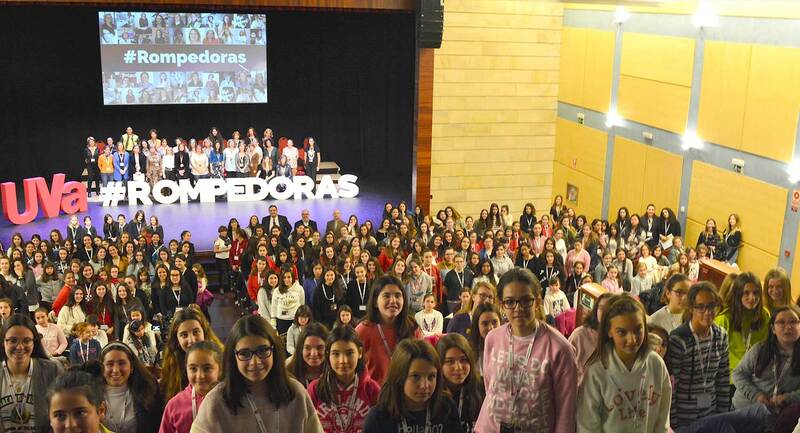 Promoted by the University of Valladolid, this initiative brought around 300 girls and young women between 9 and 18 years old together at the Palacio de la Audiencia cultural center in Soria (Spain). The main purpose of the event is for the girls to feel represented in the professional world and see for themselves that it is possible to rise from their very own surroundings as far as they dare to dream. RMDGroup contributed its experience and real-life example, sharing the stage with female teachers, researchers, law enforcement officers, bank employees, and professionals from the worlds of music, sports and literature, among others.